My mum and my aunt both have an obsession with snowmen. 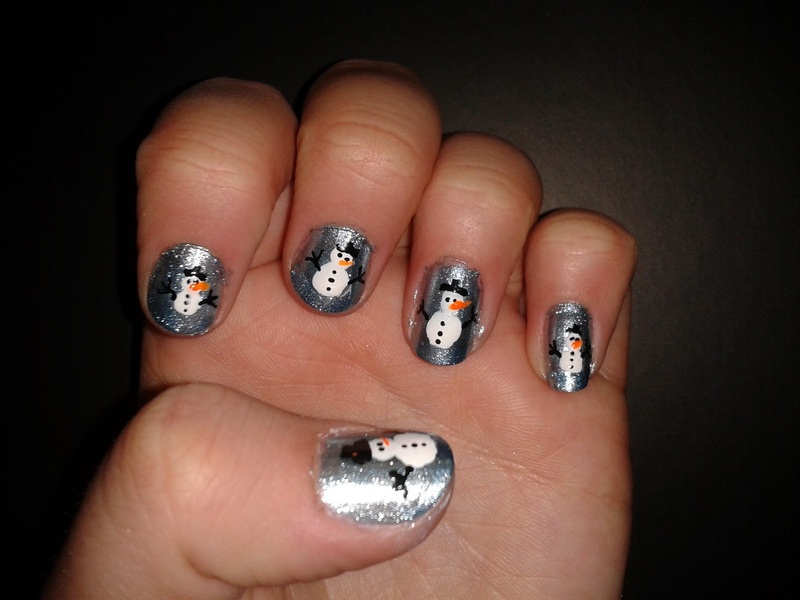 So, on Christmas day, i attempted to do some snowmen on my nails. I used Models Own Blue Moon for the base colour and then using white Barbara Daly nail polish from Tesco and black and orange nail art pens, i drew the snowmen. Did anyone else do some snowmen nail art over Christmas?